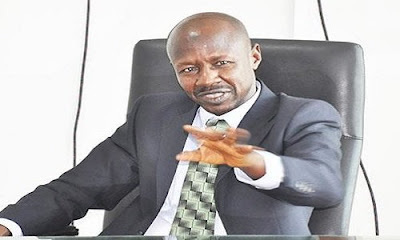 The Acting Chairman of the Economic and Financial Crimes Commission, EFCC, Ibrahim Magu, has filed a suit at a Lagos High Court, against The Sun newspaper over an alleged defamation. Magu, in a statement of claims, signed by his lawyer, Wahab Shittu, wants the court to declare that the story published in Saturday Sun of March 25, 2017, which talked about two houses allegedly linked to his wife, defamed him. Shittu had earlier in March written a letter threatening to sue The Sun for N5bn if it didn’t retract its story.